Armour’s football visor with ArmourSight® technology delivers unbreakable performance and 10% less weight than traditional visors, as well as anti-fog and scratch-resistant coatings. 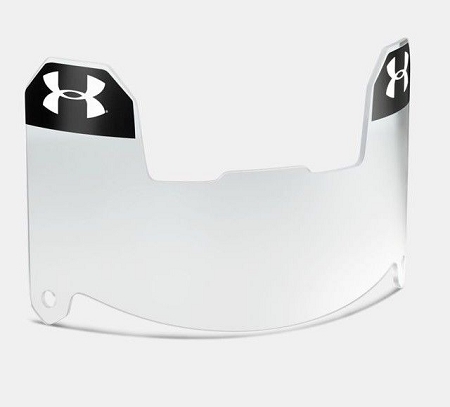 The Under Armour universal visor design is tested and compatible with a wide range of helmets and cages, including Schutt, Riddell, Zenith and others. (Some exceptions may apply.) Manufacturer confirms that the Clear football visors meet the specifications of the AYF, NCAA, and NFHS.